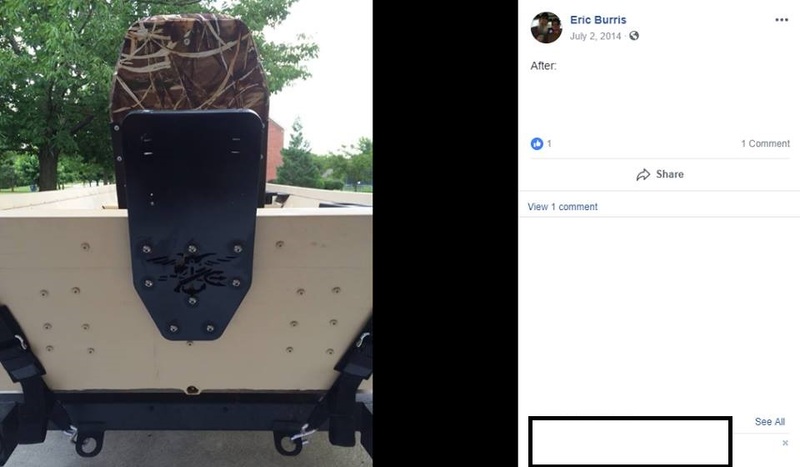 Mr. Burris comes to us from the state of Indiana. 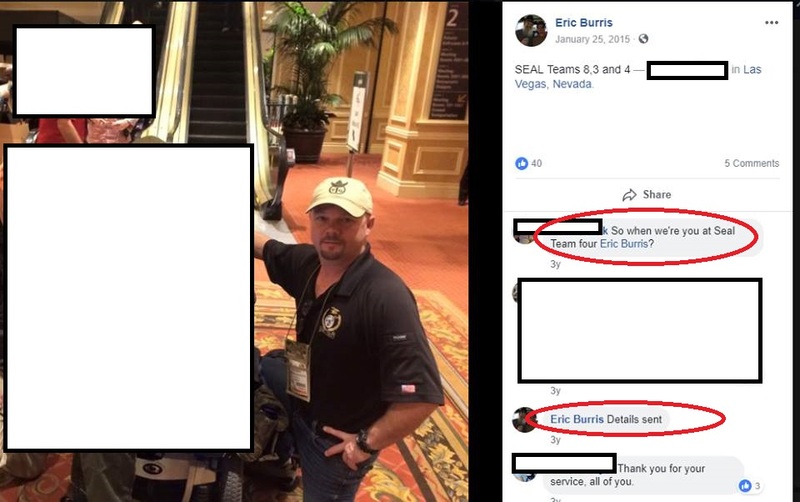 Military Phonies was contacted by some people up there that were told by Burris that he had been a SEAL at SEAL Team Four. I’ve seen this POS at the Shot Show in Las Vegas. Why don’t you take a look at his Association card. It will say Regular Member, Associate Member, or Sponsored Member. As his daughter you can ask your father for his DD214 and prove this wrong. I’ll wait. If he is on this page, on this site, and blasted factual that he was not a Seal,prepare yourself that the old man is flat out lying. The next explanation out of his mouth in his own words will most likely be” it’s all a Classified, Presidents eyes only” that’s the only option let at this time. That coming statement will also be a lie. It’s a terrible thing to disrespect a loved one with lies over the years. A sincere heartfelt sympathetic heart for you. Total fake in my opinion. Hate to tell you: but your old man is a liar. There may be secret missions but no secret SEALs. The UDT database was checked, rechecked, and triple checked. His name was not on it. 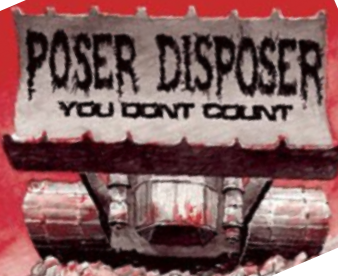 The BPR was checked, the only DD214 showed your father served HONORABLY as a reservist. Nothing wrong with that. Whats wrong is when he attempts to craft a career of valor out of something many hold sacred and some died for. You cant just CLAIM being a SEAL. You EARN it. Although you dont want to believe your father is a liar, he is. The admins of this site do CAREFUL research before putting someone on blast on here. Your father lied and he needs to own up to it, face himself and face everyone else he lied too. he was not a US Active Duty Navy SEAL GOT THAT!!! I don’t care if your are his daughter he is a total fraud and liar and a fake and phony and Stolen Valor -That Information Came From DOD Files and US Navy Files and FOIA Got That Kiddo!! His Facebook page is still open. He has Seal stuff splashed all over his pics. It would appear obvious his family thinks he was a Seal. Now, 35 friends know him to be a liar. Apparently you missed the part in the article that said the SEAL/UDT records were checked and your Dad was not listed as a graduate of the BUD/S program Lexi. 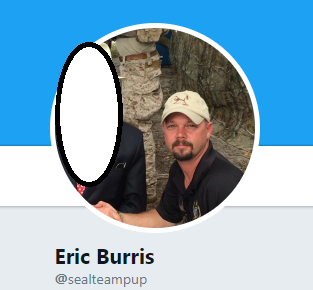 Maybe he is an “associate” SEAL since he can’t be an actual one. BTW those records posted above are his official records which proves he’s lying. 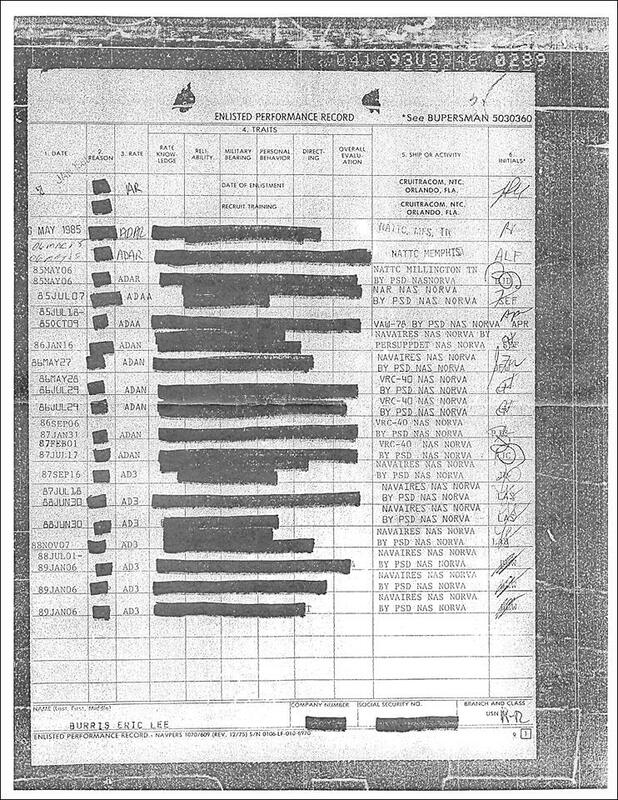 Miss Burris you apparently missed the part where it’s stated that the UDT/SEAL records were checked and Daddy’s name wasn’t on it. 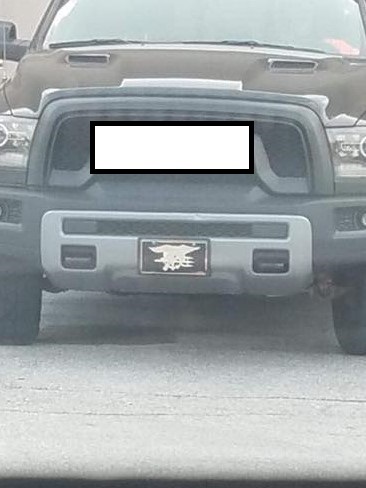 Maybe he’s an “associate” SEAL since he never attended, let alone graduated, BUD/S. 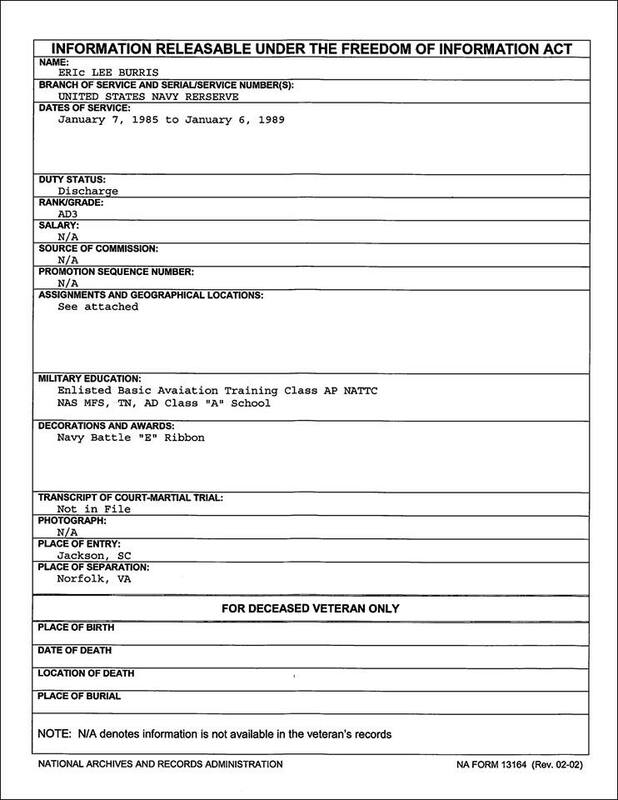 Those are his official records posted above and they prove what is being said…your Dad is not a SEAL nor was he ever. Oh what a tangled web we weave…………………………..sad for his duped family. 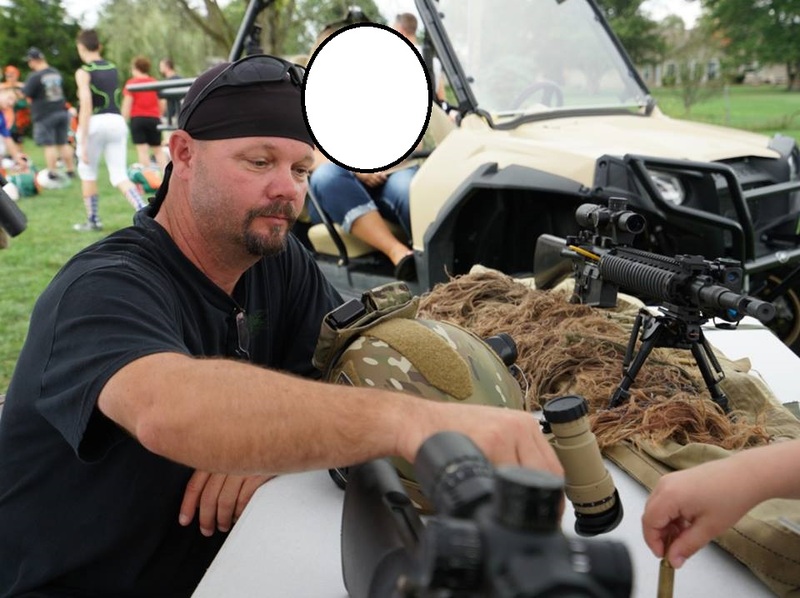 I remember now, he was in the Daniel defense booth a the Shot Show flashing his triton and talking trash. If he was hired and paid by Daniel Defense for being a SEAL. Houston he has a big problem. 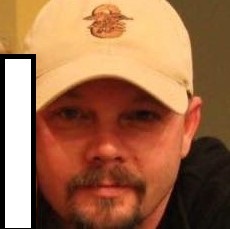 Tim W., I don’t see anyone harassing the family. 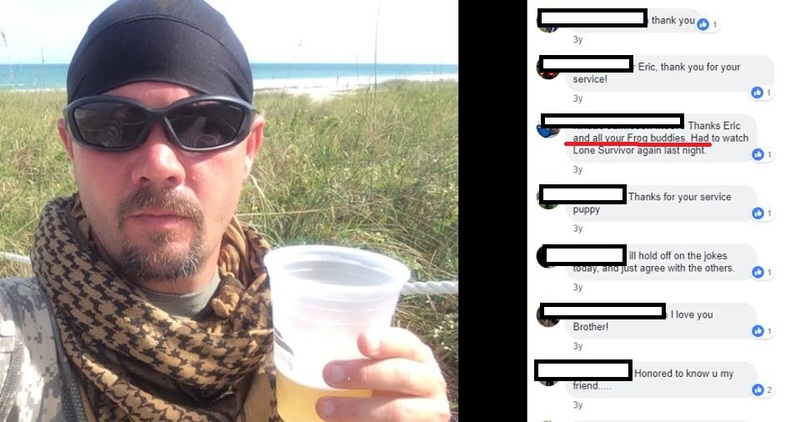 It was his daughter that commented here. 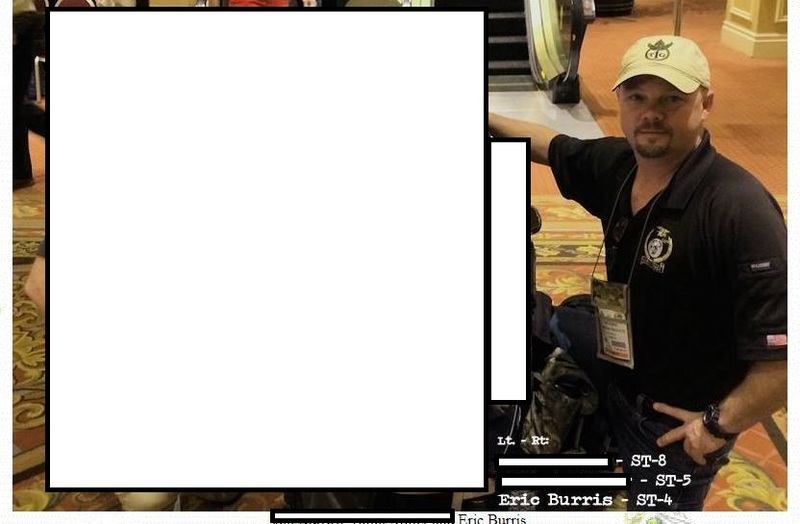 As an employee of Daniel Defense, I can say that Mr. Burris is not and has never been employed by Daniel Defense. 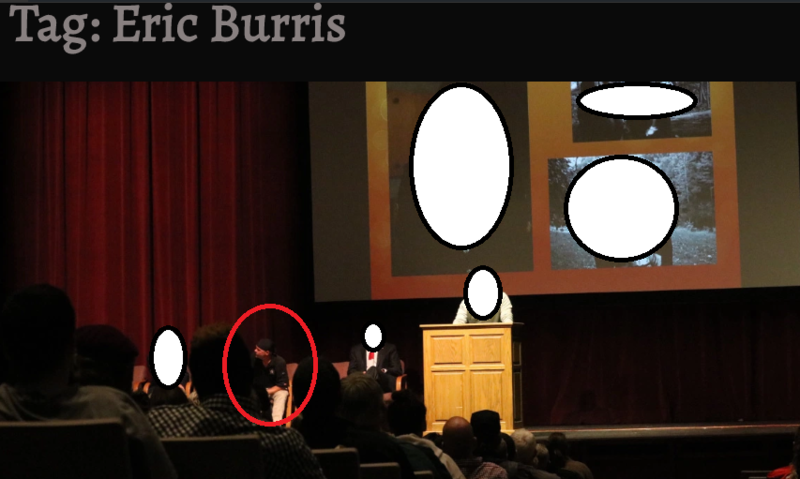 We have a lot of visitors come into our booth at the show, which was clearly the case with Burris. I feel for those family members and friends that had the wool pulled over their eyes for so long. These phony’s don’t realize the pain and anger they create in their wake. I feel sad for someone like this. So ashamed of his real life he has to pretend to be someone else. Why is The daughter off limits she is grown and decided to chime in with a totally false statement and to insult us for stating a fact. There never seems to be a shortage of the phony assholes but the level this guy took it amazes me. Nothing pisses me off more than guys like this representing our community. It’s flat out embarrassing. Thank you for exposing him and putting the word out. Any Team guy current or past could sniff this dude out in two seconds. Unbelievable.